The temperature has well and truly began to soar at Darlington’s Hippodrome with The Full Monty cast in town this week! I was invited along earlier this week to watch the show and from the beginning it was clear that this would be a night to remember. Based on the smash hit film and adapted for the stage by Oscar-winning writer Simon Beaufoy, this production has even won the prestigious U.K. Theatre Award. 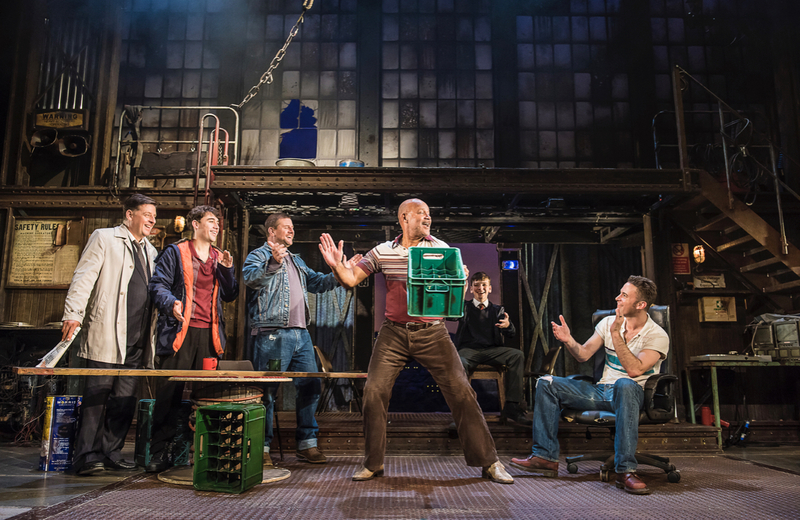 With a stella line up including Gary Lucy, Andrew Dunn, Louis Emmerick, Joe Gill, Kai Owen and James Redmond, the iconic film songs are featured with everyone singing along, to the songs especialy ‘Hot Stuff’ and enjoying the infamous queue scene. A few audience members begin to shout at the start but soon realise there is a story to be told, a story that has you enthralled throughout the night as we follow the story of the 6 out-of-work Sheffield steel workers, under a Thatcher government . A story quite relevant for the North East with its recent job losses in Teeside and the current brexit uncertainty. A heartwarming story reminding us all of the hardships and changes life can bring and the many ripple effects it has on community, friendship and family. The play touches on so many topics, including mental health, but the hard hitting story line mixed in with the blunt humour from the cast make for a thoroughly enjoyable yet also thought provoking evening. Such a well balanced mix with plenty of laugh out loud moments and of course the finalle is just fantastic, the cast have the crowd go wild as they bravely bare all and a very well deserved standing ovation at the end. I can’t even single out a cast member for their performance as they were all amazing and brought there own charm to the show. It’s not a surprise that one of the most successful British movies of all times play production is filling up theatres. As it is the final tour of this stage production, I would whilst you still have the chance, drop everything to see the performance by this brilliant cast.